FULTON, NY – Ellen Holst, director of Oswego County Opportunities Health and Nutrition Services recently recognized several employees. 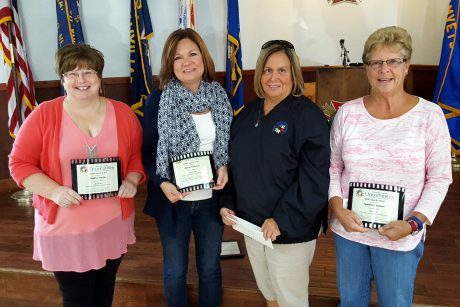 They were presented with longevity awards for their loyal service to OCO and its consumers. From left are Heather Buckley, LPN (20 years); Reproductive Clinical Manager Mary Hitchcock (25 years); Ellen Holst; and WIC/Navigation Coordinator Cynthia Palamar (30 years).